I love this quote because it reminds us that great marriages don’t happen on their own. They take work. They take intentionality. And they take two people making daily choices to improve a marriage. Here are 3 of those choices. 1. Choose to stay and fight for your marriage. The first choice that builds a great marriage is the choice to take divorce off the table. 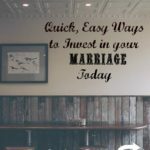 Fight for your marriage. Fight with your spouse to defeat the one who wants to destroy your marriage. 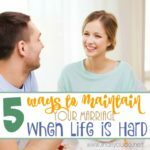 It’s so easy in the middle of a difficult season of marriage to assume your spouse is your enemy. But your spouse is not your enemy. The devil is the enemy. He is the one seeking to destroy your marriage. 2. Choose to work on you. You can’t control the actions of your spouse. You can only control your own actions and reactions, so choose today to work on you. 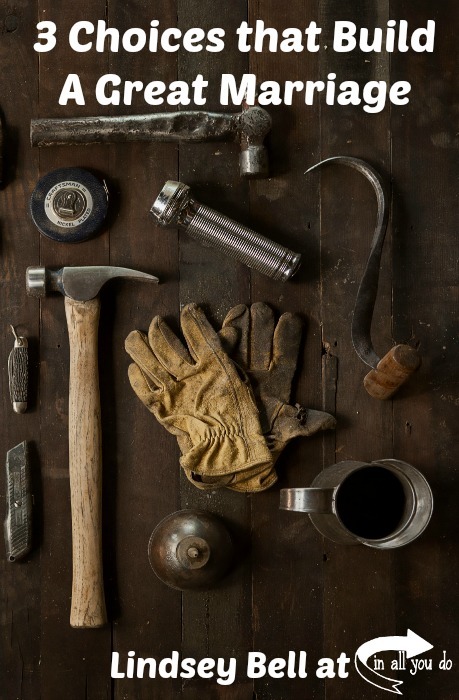 Work on listening better, communicating in love, being selfless, developing a servant’s heart, etc. 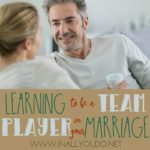 Choosing to work on ourselves is another choice we can make that builds a great marriage. A third choice we can make is to pray for our spouses. Praying for your marriage and for your spouse is one of the best things you can do for the health of your marriage, because the truth is, you can’t change your spouse’s heart. You can’t make him into a more godly man. You can’t make him love you. You can’t do anything to change him. And honestly, you can’t really do anything to change your own heart either. He is the One who can transform hearts, unite couples, and bring restoration to brokenness. Great marriages are built by the daily choices couples make. 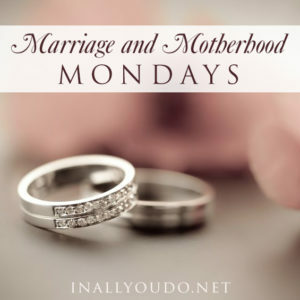 Choose today to start building that marriage you’ve always longed to have. 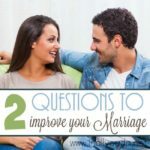 Let’s talk: What other choices do you think help build a great marriage?